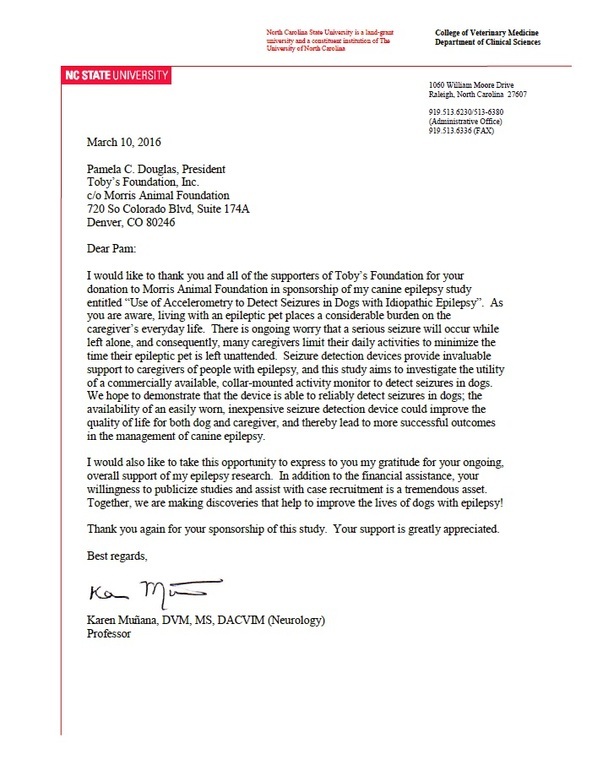 Below is a letter forwarded by MAF from Dr. Karen Munana expressing her thanks to Toby’s Foundation and our supporters- and that's you!!! 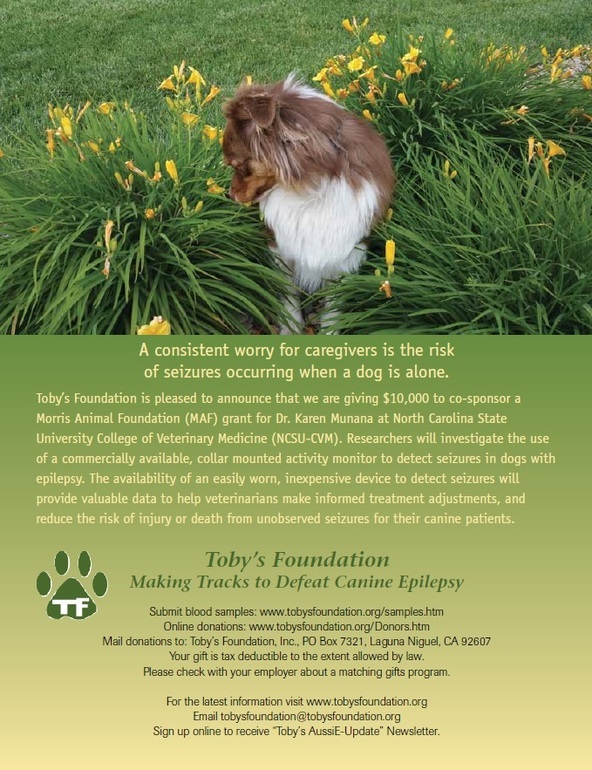 We are actively recruiting canine patients and owners for our study, "The Use of Accelerometry to Detect Seizure Activity in Dogs with Idiopathic Epilepsy." Dogs would need to come to NC State for this study.